November is Native American Heritage Month. 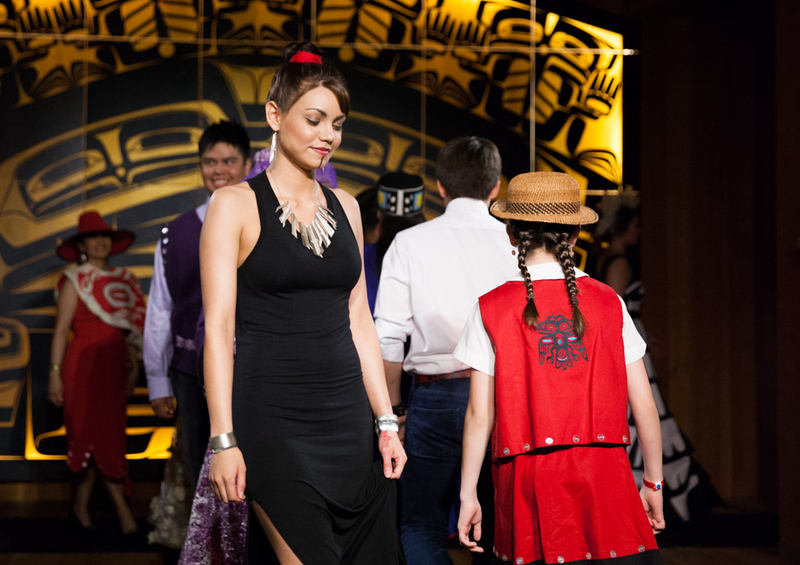 To celebrate, we’re taking you down the catwalk and into the heart of contemporary Native fashion. From seal skin corsets to gowns fringed like Eagle feathers, today’s designers are finding new silhouettes for traditional art. And their customers love it. 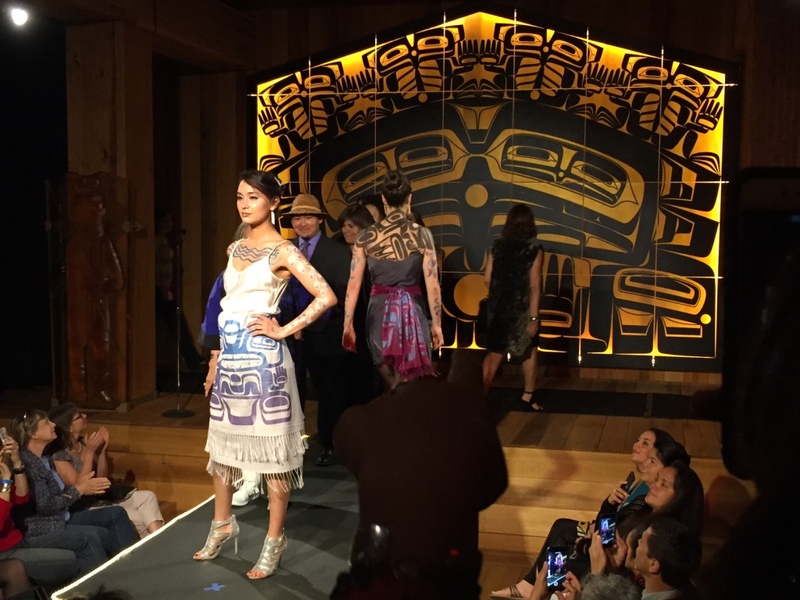 Dodging hairspray and safety pins, KCAW’s Emily Kwong went backstage at Sealaska Heritage Institute’s Native Fashion show to talk with two of the sewers on the cutting edge of indigenous design. Dorothy Grant is in the house. She’s one of those women who is always glamorous – dressed in black, eyes bright. 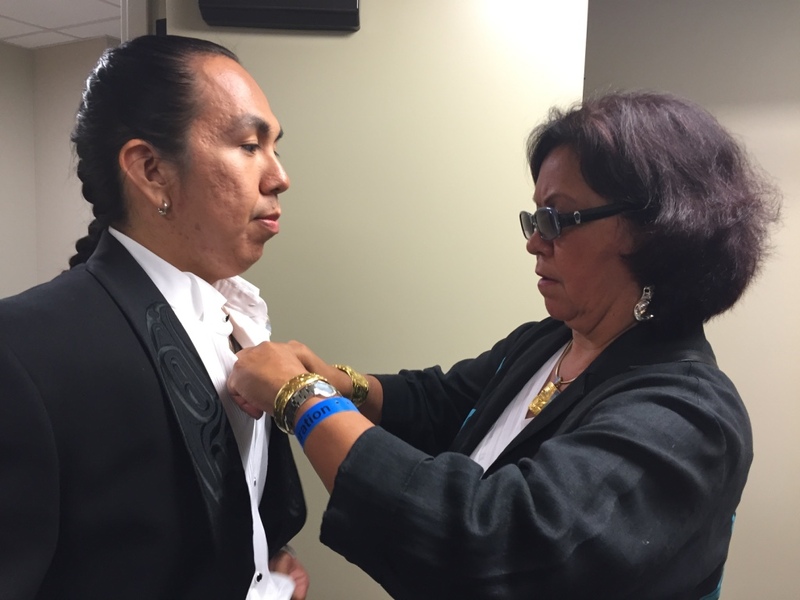 Grant is an icon within the Native fashion world. 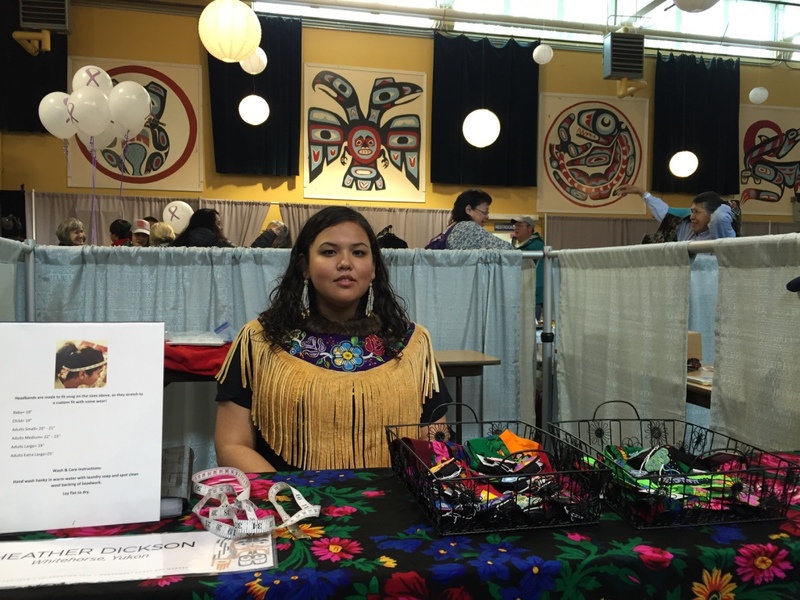 From opera coats to ball gowns, she wants her clothing to instill the person wearing it with self-respect, a Haida principle known as Yaangudang. “When I wake up in the morning, I know that I make people feel good in my clothes no matter where they’re going, whether it’s a black tie or they’re getting an award or they’re graduating or they’re getting married in it,” Grant said. Or going to the Oscars. In 2015, the ceremony was heavily criticized for lack of diversity. All the nominees were white. And Duane Howard, the First Nations actor who starred in the film the Revenant, didn’t get an invitation. He spoke with actor Leonardo DiCaprio, who was also in the film, and locked down an invitation just a week before the ceremony. Grant had little time to build him the tux of his dreams, but as she’s done for the past 30 years, she made it work. And as far as fashion statements go, the tuxedo speaks volumes. The lapel is adorned with Raven and Eagle embroidery, that catches the light. Howard got some attention for his outfit. “Well, the red carpet was two and a half hours long and he got a lot of questions about the tuxedo,” Grant said. Tonight, the suit will be worn by Conrad Frank. “I’m so nervous because it’s so gorgeous,” Frank said. The make-up artist furiously pounds his nose with powder. Though Frank isn’t a real model by training, he does plan to stand tall. “Our works all over the place in totem poles, house screens design, it’s great to see it on a different level,” Frank said. The fashion show was underway and every seat in the cedar clan house of the Walter Soboleff Building is full. It’s tuxedo time. Frank stepped into the spotlight. Though looks a bit nervous, he gains his footing as he walks. And when he hits the mark, he stands nice and tall. Just as Grant hoped he would. Backstage with designer and model, Grant tucked the tuxedo back into the garment bag. While this piece is one of a kind, she has something similar listed on her online retail store for $21,000. For a designer, selling work is just as important as making it. One of the new designers finding retail success is Heather Dickson. 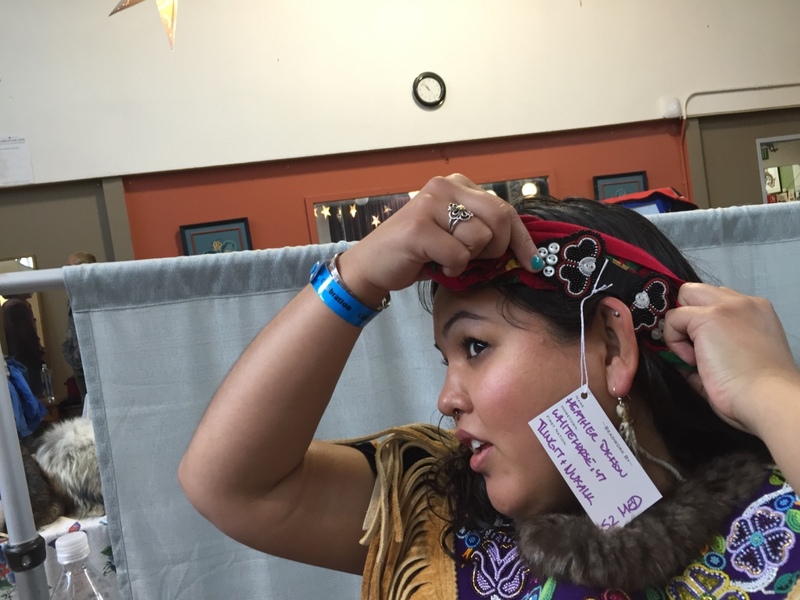 We’re at the Northwest Coast Art Market, the day after the fashion show. Dickson has covered the drab plastic table with a bright floral cloth. Stacked upon it is her signature product: grannie hankie headbands. She made another for her friend, but added ornate beadwork to the fabric. “She posted a selfie after I sent it to her and it just blew up,” Dickson said. A year later, Dickson has a booming online business. At one North American Market, she sold out in four minutes. 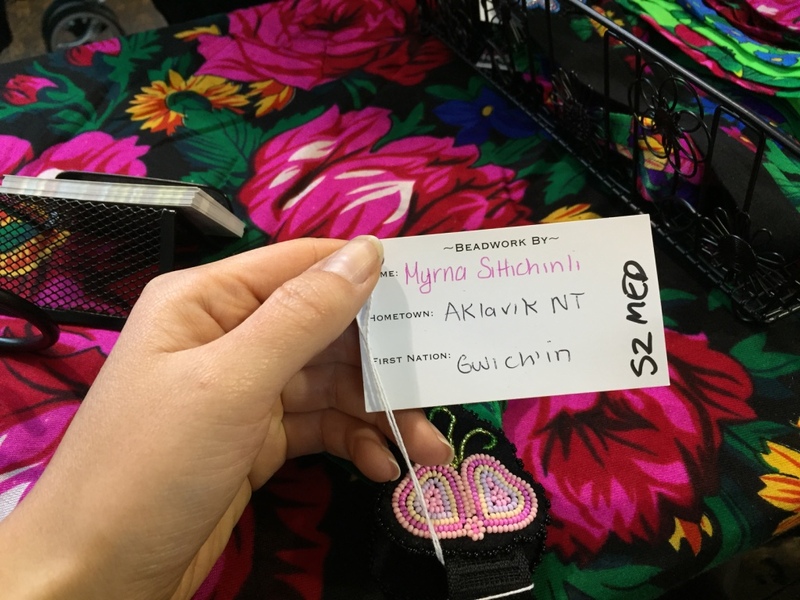 Some customers are drawn to Dickson’s table because of the beautiful beadwork and all the colors. But others, like Elizabeth Childs from Massachusetts, knows Dickson’s work already. “I want one so bad. I have a really big head though, so should I be looking in this bin?” Childs asked. Dickson responded with measuring tape. Dickson is a pro and a hard worker. At her kitchen table in White Horse, she sometimes sews until 2 in the morning. Childs is examining one with buttons, as an homage to button blankets. “I’m a professional clown and my clown name is Buttons,” Childs said. “That’s so awesome,” Dickson said. And it’s a hit. The sun is setting. We start talking about Dorothy Grant, who’s a big inspiration for her. And what Dickson appreciates most, is this. “Well, I think she kind of paved the way for people viewing West Coast art as being really elegant and formal and feeling like royalty when you wear it,” Dickson said. Which is kind of fitting, as her newest customer walked away with a headband fit for a queen.